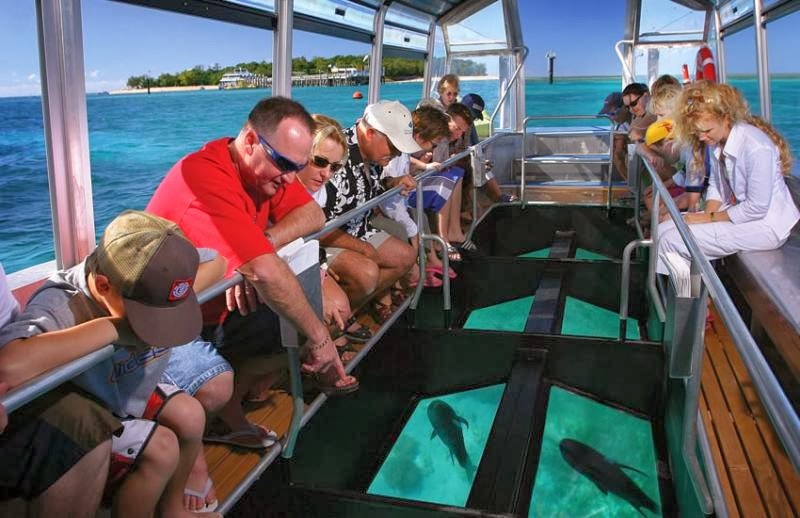 A glass bottom boat tour is exactly what it sounds like. You are in a boat that has a bottom made of clear glass, allowing you to see the colorful fish and coral reefs beneath you. It's a safer and dryer alternative to scuba diving, and perfect for families and large groups. Nearly every tropical tourist destination offers this activity, including several destinations within the Philippines. #3 - El Nido - This is probably the best place of the three to take a glass bottom boat tour. In this part of Palawan (in the Western Philippines), the water is super crystal blue and clear, and the colorful wildlife really, really comes to life. Many of the boats there that offer island hopping tours are also offering glass bottom boat tours. If you are interested in giving it a try, just ask around when you get there and get ready for a very amazing experience!